The food industry is facing a broad range of innovation and optimisation challenges in the areas of product development, process design, scale-up, processing and food safety. The complexity of food products and production processes and the need to operate in a global market play an important role. Innovation and optimisation challenges are typically addressed case by case using money and time consuming trial-and-error methods. A more efficient way to speed up innovations, optimise food production and improve product quality is to develop and deploy predictive, mechanistic models that capture essential scientific process-product interaction knowledge. Streamline and accelerate the development and deployment of such models in the food industry. 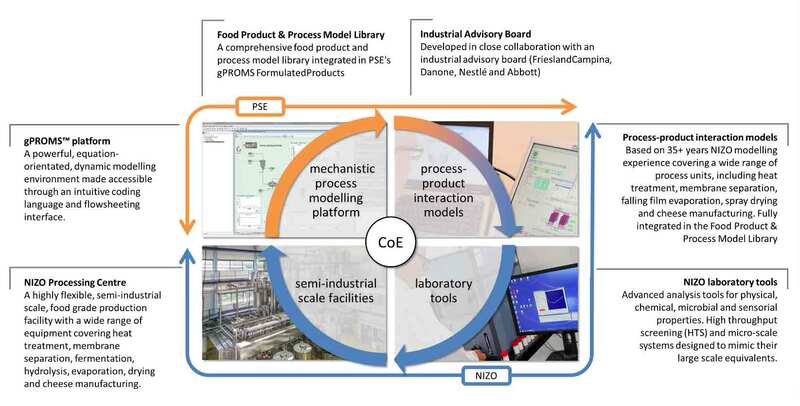 Serve as a single point service for comprehensive, advanced food product-process modelling combined with laboratory scale tools and semi-industrial scale pilot facilities to generate required data for model development and validation.